1. Nanny: From the age of 13 till about 18 give or take, Lux took on and off gigs babysitting children in the neighborhood, family friends’ children and those of relatives. This was usually 3 nights a week, 4 hours a day for approximately £40. 2. Sales assistant: Lux’s father owned a jewelry store and she worked there when she was 14 years old for £5.50 per hour. It was one of those things as is usually the case when one is employed by relatives, always coming late, being hangover most of time and never taking the time to actually know how many carats a piece of jewelry had, their colors and generally learning the craft. She did not really learn anything there but I included it on the grounds of odd jobs. 3. Antique seller: At 15, Lux part timed selling antiques for an Indian man where she got paid in pieces that caught her fancy, with approval from her boss of course. 4. Waitress: Lux has actually had a number of waitressing gigs. The first time was when she was 17 years old where she spent about 12 hours on her feet for £6 an hour. At 20, she worked as a hotel breakfast waitress where she had to prepare breakfast for about 50 people (Believe me, I also asked why the waitress was doing the chef’s job). This required her to be awake by 4am, she had to serve the breakfast and wash the dishes throughout the breakfast session. ‘Believe me babe’, Lux said, ‘it’s not as cool as the movies make it seem’. 5. Butcher: This is by far the biggest surprise, the one that sealed the deal, the jackpot. Lux assures me that she met the weirdest characters while doing this. She had to be up at 4am and travel in a van with a weird old guy *Riyo horror movie material, No? * but I guess for £10 per hour that’s not such a bad deal. 6. Organizer: Lux got a gig stacking shelves in a warehouse for £10 per hour. 7. Teacher: When Lux was 17 years old, she went to Italy to teach her aunt’s children English but really she was a slave and we are talking living in the basement here. The children had no discipline and were vulgar so she ended up staying there for 1 month instead of 2. 8. Construction assistant: The highest paying job Lux ever had was as an assistant at Cultural centre that was being renovated where she did sanding, painting, making shelves and things of the sort for £125 per day. 9. 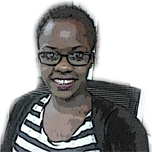 Intern: When she came to Uganda, Lux did an internship at Nytil Jinja and for the love of all that’s precious she can NOT figure out why she even bothered because it was a complete waste of time that she will never get back. All I could say was ‘WOW, babe. WOW’. 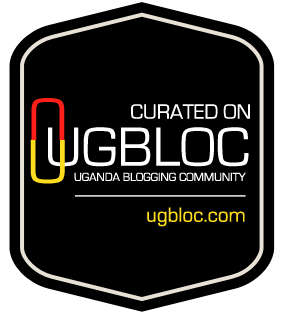 Uganda Bloggers 7 Days: Day 5- Sooooo the challenge!! But for real, Lux is onto something. Previous story Uganda Bloggers 7 Days: Day 5- Sooooo the challenge! !